I got a pool from a family member when the crew came out to take down the pool, they discover that the bottom track is bad. I am told the pool is a Carnival pool. I am not sure about it, but I cannot find the bottom tracks anywhere. I am told by different suppliers that I need the specific ones. I don't know if that is true or not, but where can I find tracks that will work. I have a used soft side pool 15x42 that I got from a coworker. It has 2 holes in the side that the pump tubes or whatever they are called go in to. However, there is nothing in or on the pool for them to attach to. We are missing some sort of gasket or valve or something. I am looking for a pool ladder that will work with a soft side splash super pool. We are building a deck around two sides above the railing so therefore am wanting to mount a ladder on the deck. I have seen some with wide and deep steps and that is what I am looking for, but don't know which one to buy. I do not want metal. Would like to have all plastic. Hi Debbie. Check InTheSwim, they have several to choose from. Where can I find 12 post caps? Equinox Pool Caps #12742, Made in USA. Hi, Just wandering if you had any luck in finding those caps. I'm looking for the same. 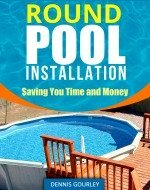 Where can I find a pool liner called The Illusion for a 27' round and 52" deep above ground pool? I have an Esther Williams pool that we've had for a really long time my parents gave it to me when they moved I have a new liner but need help with setting up the frame work I have no idea where to start really I have looked at some of your other posts for installing oval pools and I have a starting point now but I was wonder if you were able to help with some more specific instructions for my pool in particular thanks! Please e-mail me at gosabres1@hotmail.com for further instructions. In the process of building a 15x30 right now but what I have may help you. We need two 6x4 plastic foot plates for a Samoan 21' above ground. Please help! Thanks much!